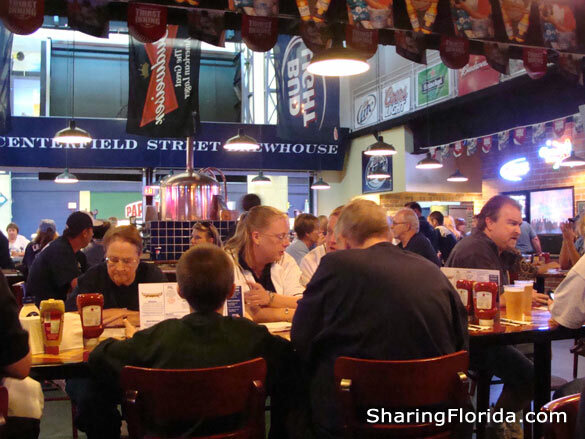 Located inside Tropicana Field – this is a restaurant and bar which is very popular during pre-game time. The bar area is a standing area, and there are tables further into the restaurant. Often the Rays radio program is broadcasting live from inside the restaurant. 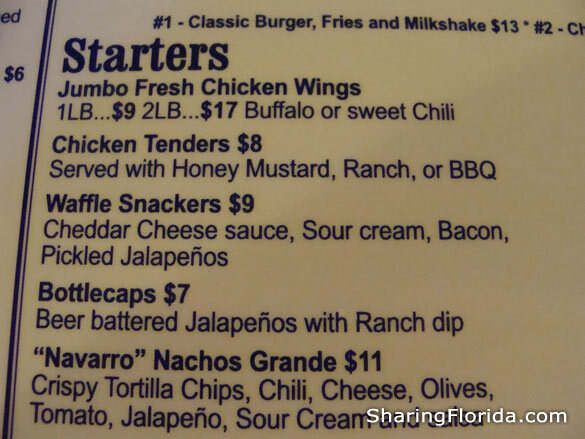 Below are pre -game photos, photos of the food served, and a portion of the food menu. 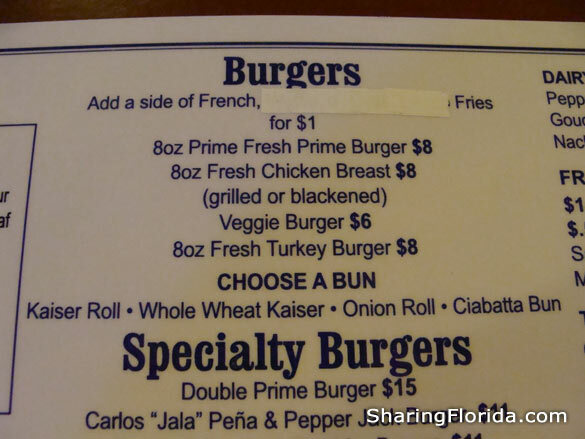 Note: Pictures and prices are from the 2010 season. 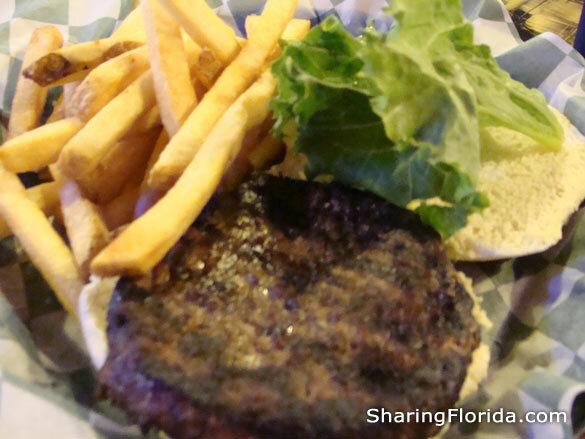 The Excellent hamburger and fries! There are also many specialty drinks named after the players.